Features JM stove GD stove VEGA stove 6pipe stove 9pipe stove 12pipe stove Last century 30s to electricity for the energy of sauna heaters available. Benefit from advances in technology, constantly upgrading sauna heaters, and now people have to do is click switch, resistor wire heating will be continued to the stone. Safety and convenience, making sauna with unprecedented breadth and depth of penetration into Finn's life, universal around the world. 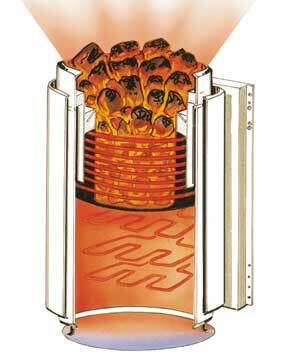 ★ Electric furnace (sauna heaters) must add a power switch can be opened stones. 1. Automatic adjustment and electronic switching regulator, safe and clean, pollution-free, noise-free! 2. Have small home design, interior can be placed for heating; placing sauna steam sauna can do. 3. Even heating throughout the day (8 hours), electric furnace power input time is also around 4 ~ 5 hours (do matching steam room), and electric power consumption compared to a reduction in electricity consumption. 4. Production of 3 kw ~ 18 kw sauna stove, custom-made size 32 kw power of furnace, it hot stones 50 kilograms (sub-models). 5. Some attention and maintenance, to prevent overheating device, timing shutdown (power), the heater's metal parts are stainless steel, heater controller duties outside the controller operation and the operation of two types of control panel. 6. Outstanding performance in science and technology to create excellent sauna heaters, heating fastest furnace deep spacious warehouse containing stone basin to ensure that the appropriate placement of sauna stones, while heating device can be contacted directly with sauna stone, coupled with a unique vent about, manufacture of steam efficiency in particular winning, just 20 minutes can be heated to 80 ¡æ. 1. nurse a fire greenhouse heating. 2. Authentic traditional Finnish saunas Sauna. 3. Accelerated heart beat and blood circulation, and sweating also accelerate the metabolism, the body of toxic substances excreted with sweat. 4. Hotels, leisure establishments, massage centers, family apartments, the elderly welfare facilities. Sauna originated in the 2000 years of Finland, in a round housing inside a small wood on the wood stove, stove on the rocks piled high tide (of incense and flower stone) heating, change in the red rock watering, enjoy contained steam heat and smoke of the three warm sauna. 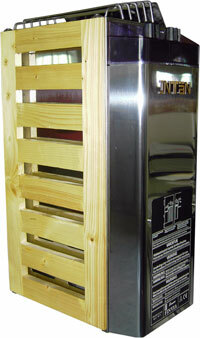 Now with three warm-style electric sauna heater replaced, and environmental protection, hygiene, health. After a large amount of cold water over steam, hot air through the blood through the blood vessels brought to the heart, accelerated heart beat and blood circulation, and sweating also accelerate the metabolism, the body of toxic substances excreted with sweat. Sauna excellence lies in the fact that after bathing comfort and relaxation, sauna bath secret is that after the rebirth of the feelings of enjoyment extravagant. Sauna: high temperature and low humidity in the bath to allow the rapid discharge of sweat pores drain away any accumulation of filth in order to achieve the purpose of cleaning the skin. Do hot air seems to breathe with lungs from cloud structures together. Sauna is likened to lazy exercise, do not be put in action to move to achieve a passive effect of fitness and beauty. 1. Especially suitable for small room: the family, hotel, leisure places, etc. (2 person or less). 2. Small size and the control panel, the installation space is very small, can be hung on my wall. 3. Built-in 30 ~ 110 ¡æ Thermostat and one ~ 8 hours controller. 4. 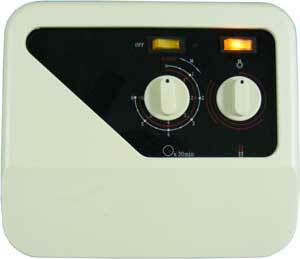 Optional controller: CV03 knob type, or digital display type CV400. 5. Has two kinds of spray paint and stainless steel casing, the metal part of the heater are stainless steel. 6. Mounted stone warehouse, and has two kinds of specifications: the capacity of, respectively, contained stones are 7.5kg, 10kg. 7. Special order can be 2.3kw, 3kw and 3.6kw. 8. Finland has bath conditions: relative humidity 15% ~ 30%, temperature 65 ~ 85 degrees (do not have to worry about skin damage caused by dehydration). 1. Applicable to small and medium-sized room: family, hotels, leisure venues, etc. (3 ~ 9 people). 2. Strong structure, specifically for the frequent use of the sauna room design can be hung on my wall. 6. Stone has a larger set of capacity: 13 ~ 18kg. 7. Has 3kw, 4.5 kw, 6kw, 8kw and 9kw. 1. Vega Applicable to small and medium-sized room: family, hotels, leisure venues, etc. (3 ~ 9 people). 5. 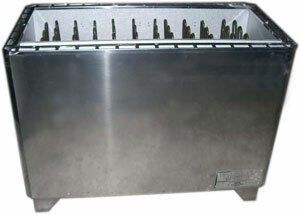 Stainless steel shell, the metal part of the heater are stainless steel. 6. Stone has a larger set of capacity: 20 ~ 25kg. 1. Savonia sauna room for large design. Apply to apartments, hotels, resorts, indoor swimming pools, fitness centers and other commercial facilities. 2. Fever high efficiency, long working hours, but that required maintenance and repair work. 3. Easy to install the machine can be placed in the sauna room, only need to adjust the legs of the supporting frames. 4. Knob or digital outside controller, 30 ~ 110 ¡æ Thermostat and one ~ 8 hours controller. 5. 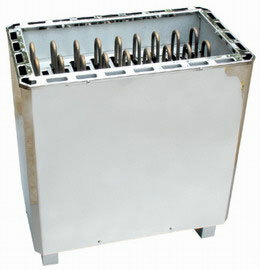 Stainless steel enclosure, 6 heat pipes are stainless steel metal parts. 6. Have contained large stone capacity: 30 ~ 40kg. 7. Have 10,5 kw, 12kw, 15kw and 18kw. 1. Super Savonia sauna room for large design. Apply to apartments, hotels, resorts, indoor swimming pools, fitness centers and other commercial facilities. 5. Stainless steel shell, 9 heating pipe metal parts are stainless steel. 6. Stone has a larger set of capacity: 40 ~ 50kg. 7. Have large 18kw, 21kw, 24kw and 24kw. 1. Super SavoniaV12 sauna room for large design. Apply to apartments, hotels, resorts, indoor swimming pools, fitness centers and other commercial facilities. 3. Knob or digital outside controller, 30 ~ 110 ¡æ Thermostat and one ~ 8 hours controller. 4. Stainless steel shell, 12 heating pipe metal parts are stainless steel. 5. Stone has a larger set of capacity: 80 ~ 100kg. 6. Have large 24kw, 27kw, 30kw, 33kw and 36kw. 7. Finland has bath conditions: relative humidity 15% ~ 30%, temperature 65 ~ 85 degrees (do not have to worry about skin damage caused by dehydration).